Item # 301768 Stash Points: 2,195 (?) This is the number of points you get in The Zumiez Stash for purchasing this item. Stash points are redeemable for exclusive rewards only available to Zumiez Stash members. To redeem your points check out the rewards catalog on thestash.zumiez.com. 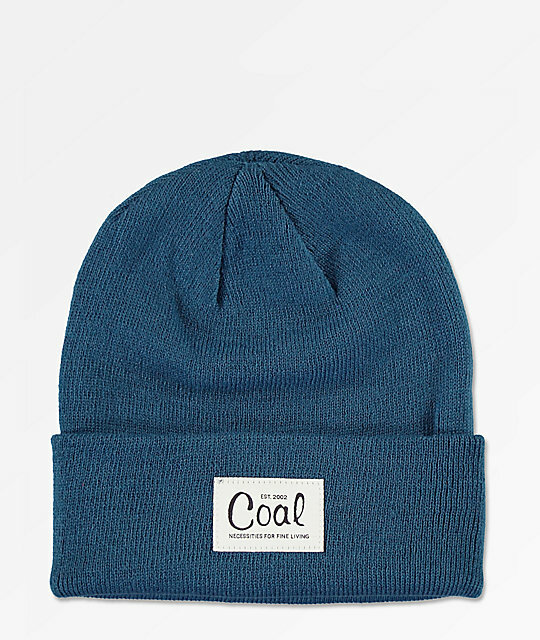 Tie your cold weather look together with the Mel Sea Blue Beanie from Coal. This ultra-soft beanie features a folded cuff and a slightly slouchy fit. A woven Coal label is added to the front for extra flair. The Mel Sea Blue Beanie from Coal.